Kurhan or kurgan. 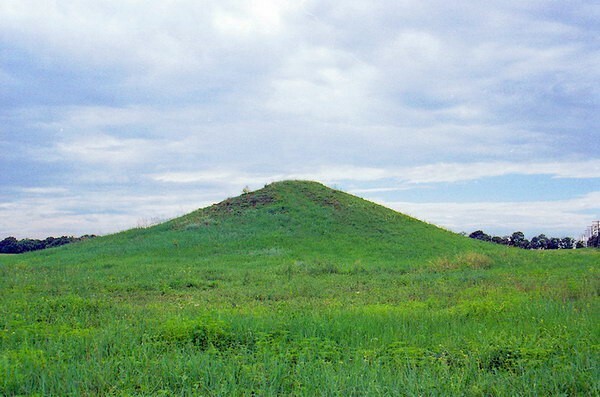 A term from the Turkic word for mound or stronghold, used in Eastern Europe for a tumulus or barrow, that is, an earthen or stone mound built over a grave. Kurhans first appeared in the steppes north of the Caspian Sea and Black Sea and in Subcaucasia and Transcaucasia during the upper Neolithic Period and the Eneolithic Period (3rd century BC). They vary in height from 3 to over 20 m, and in diameter from 3 to over 100 m. The oldest kurhans in present-day Ukraine date from the early period of the Pit-Grave culture. The most famous ones are the so-called Scythian royal kurhans. Sometimes the mound was encircled by a cromlech and topped by a stone baba, an anthropomorphic statue. The dead were interred or cremated and deposited together with their worldly goods and valuables in timber graves, vaults, catacombs, or pits. Kurhans were then thrown up over them. 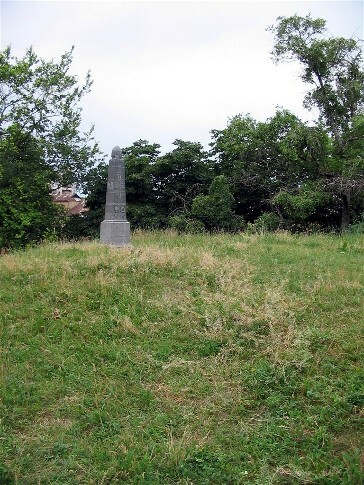 They usually occur in groups, indicating that clans and tribes had designated burial grounds. Until the 18th century the Cossacks also buried their dead beneath them. At one time, kurhans were used as military lookouts.